5/5 Strategy at its best, can’t stop playing! 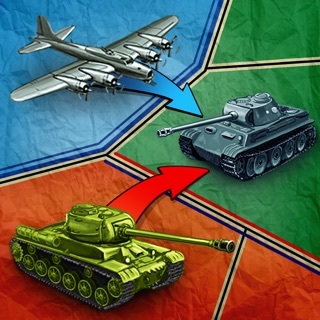 Experience mind-blowing World War 2 battles in the brilliant new military STRATEGY-sim by HandyGames™! 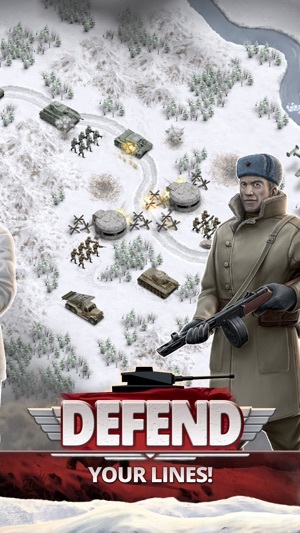 - FIGHT through the bone-chilling cold of the 1941 Eastern Front! 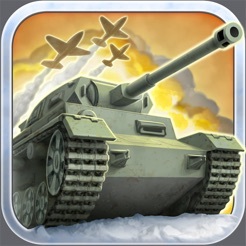 - COMBAT enemy positions with tanks and infantry! 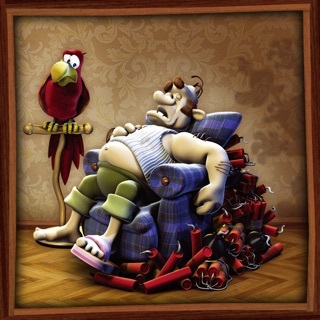 - SHOOT hostile headquarters with mighty bomber wings! 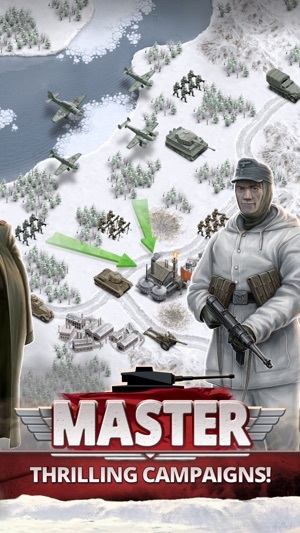 - EMPLACE your artillery in rough terrain! 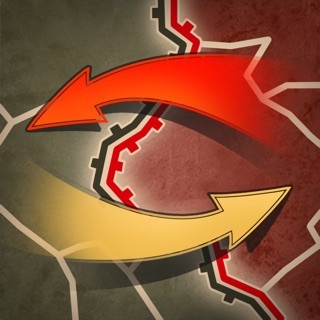 - SUPPLY your army with goods and ammunition! 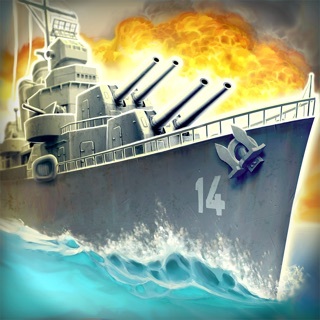 - DEFEND yourself against superior numbers of enemies! 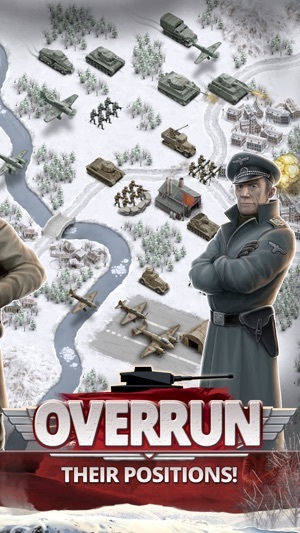 You can play 1941 Frozen Front entirely for FREE, though various items are available via in-app purchase. 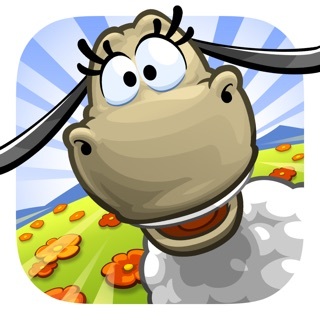 If you don’t want to use in-app purchases, please deactivate them in your device settings. There really needs to be a map creator. I know you guys won’t even read my response but here I go. If you guys can do that then this would be one of my all time favorites. I love this game already and already beat the game adventure mode. I love the two player levels they are fun but I wish for there to be more maps. Please oh please, more maps would be amazing for all the other ones too, pacific, desert, D-Day, all of them. More maps please. Thank you. 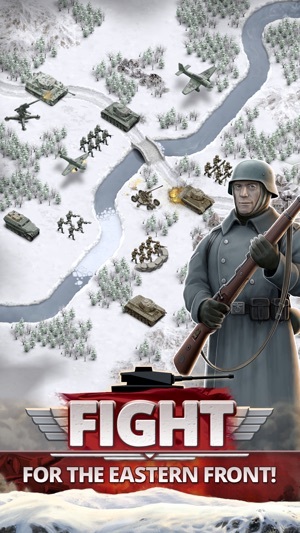 Its a great game, but it has too many ads and it really needs a map editor or map creator and maybe we can have a online map maker so when somebody publishes a map everybody can rate and play it. We also need team modes and online multiplayer. 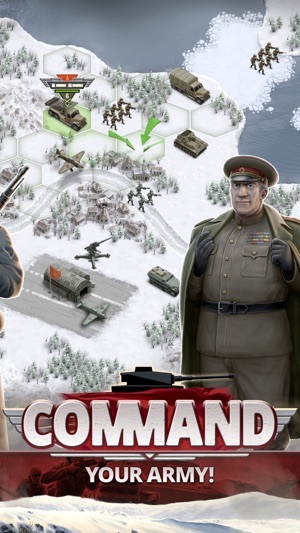 Team mode would be 2v2 like you and your teammate have 10k and have separate bases but can only control the units you built so if your teammate makes a unit you cant control it. One of my favorites of the Handy Game’s series in this genre. 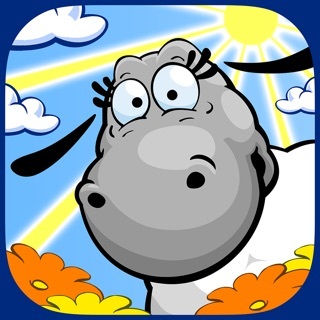 Although I let it sit on my iPad for quite some time before playing it, once I got going and started to learn the game, I was hooked. Fairly simple learning curve, mastering the game was fun and engaging. Thumbs up to the Developers! Hope you are able to keep the updates and new campaigns coming!